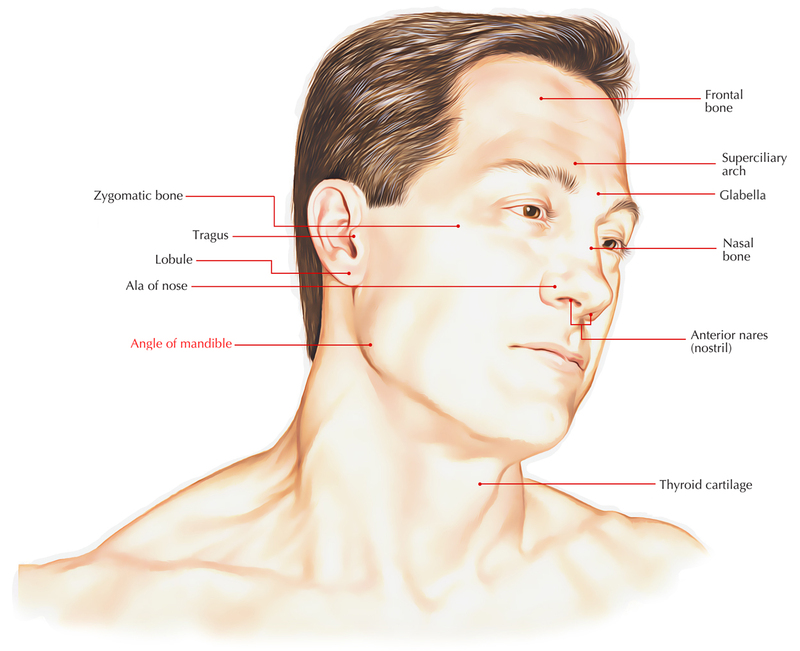 The mandibular or gonial angle is created by the intersection of the ascending ramus as well as the body of the mandible. The angle is used for an initial examination of growth of mandible in future. In order to determine the angular association among the ascending ramus along with the body of the mandible, the gonial angle is separated into two portions. A line is made in the middle of nasion as well as the gonial or mandibular angle, separating the gonial angle into upper and lower chambers. Horizontal or counterclockwise development – The upper angle with a general range from 52 to 55 degrees. Vertical or clockwise growth – the inferior angle with a range of 70 to 75 degrees. The gonion is the midpoint of the mandibular angle. The gonion is a cephalometric landmark located in the lowest, posterior, and lateral point on the angle. It is located where the ascending ramus converts into the body of the mandible, at the apex of the maximum curvature of the mandible. The mandibular angle has been a forensic instrument for gender determination, but recent studies have questioned it.